Immunity is the ability and power of an organism to resist diseases. Diseases, big or small, they are always not a welcome! Every person in the world wants to be free of any disease or ailment, they want to remain healthy because a healthy life is a happy life! It really kills me to see my loved ones getting ill. It upsets me to see my little nephew catch a cold or suffer from Pneumonia. It upsets me and my whole family to see his innocent little body suffer from Diarrhoea or any such other disease which makes his body week. That's the reason why we have started feeding him Dabur Chyawanprash now and amazingly,there is a rapid progress in his Immune system. When does Immunity develop best? Immunity builds best in the early stages of life of a human being. A healthy kid develops into a healthy man and healthy men into a healthy and Immune Nation! Therefore, it's very important to bring up a child properly by supplying his body with the right nutrition to help him build his immune system! The question here is, how do we build an Immune India? How do we bring up our children of the present generation so that they will build a healthier and more Immune future? Doesn't it feel great to see celebrities like Sachin Tendulkar represent India? Sachin's retirement was a heart-wrenching mode for people of India. Why? Because we loved the vigour and strength he showed in his cricket matches which helped India win! How is our hero, Sachin Ramesh Tendulkar's Immunity so high that he sustained a game like cricket for eighteen years? How did Amitabh Bacchan build himself up to such an extent that he's the King of Bolywood now? How are actors like John Abraham so fit and perfect? How is Sania Nehwal's Immune system so high that she has achieved so much in such a young age?How was the legend,Abhinav Bindra brought up? How are the immune systems of all these wonderful people so strong? Now these were the secrets to immunity of some of the celebrities of India who have made India feel proud with their achievements. Their lives are inspiration to every child of India. If every child's immune system is build up this way, the future of India will be perplexing and startlingly healthy! Here are some other steps which we can follow to build a more healthier, more Immune and happier generation! The first and most significant step towards a child's Immunity is breast feeding him at least for the first three to four months of his birth. A new born's body needs a lot of nutrients to develop, mother's milk is best for him as it contains immunity enhancing antibodies in it. Once my Mum caught me in the act *curses* she gave me a nice hearing and told me that sleep is the best friend of a baby ! The more the baby sleeps, the more his immune system builds! Lungs are the weakest spot of a small baby. So, it's important to keep a baby away from any kind of smoke. Inhaling of smoke damages the protective lining of a baby's immature respiratory passages, making him more susceptible to infection. So, it's important to protect the baby from inhaling smoke. Green leafy vegetables, Avocado,Nuts and seeds have always proved as great immunity boosters! It's necessary to include these in a toddlers diet. While nuts and seeds are OK with me I could avoid green veggies and Avocado anytime, any minute! Not my favorites! But they say-a mother knows it all! Mum makes the most delicious dishes out of these green leafy veggies. Katli Dal is my favorite. By including these veggies in my favorite dishes, Mum makes sure that I get supplements of these foods even though I wouldn't eat them even in my dreams! Truly a Mom knows it all! Blue berries are very rich in antibodies which help in growth of white blood cells while Kiwi is very rich in Vitamin C content, another immunity booster. Carrots are one of the richest sources of beta-carotene, an antioxidant which helps fight diseases. Carrot juices are my favorite. Just grind the carrot pieces along with a hint of pepper and mint. Garnish the juice with a pinch of salt and your kiddo won't be able to resist it! Make sure you include these awesome fruits in a toddlers diet! Water helps in the exertion of waste from the body hence it acts as the best immediate measure to boost immunity. Children should drink at least 1 litre of water everyday while adults require 2.3 litres per day. Make it a habit for the children to drink water every now and then. If they are sick, increase the rate of consumption of water and you'll be amazed how much faster the child will recover! I myself have experience many such situations where the decrease in consumption of water has lead to many diseases. Mom advises to take my water bottle with me whenever I go out. Build exercising habits in children. Nothing helps more! This is the best way to stay fit all along! Reduce their TV and computer game time and instead, divert their minds towards some good outdoor games. A few years back my parents were really worried about my brother's addiction to a game called 'Starcity'(some dumb game it was). My brother was so addicted to that game that he didn't even like anyone disturbing him while he was playing it. That was when my Father took the right step and sold the house computer. He enrolled him to a swimming camp instead. It's necessary to take the right step towards upbringing of children! You can't let them have their way-it'll just spoil them and their futures! The last and most important step is to include Dabur Chywanprash to the child's and your diets. The new Dabur Chywanprash gives 3 times more immunity. It has anti-oxidant properties which helps strengthen your body's internal defence mechanism - the immune system - thereby protecting you from day to day infections such as cough, cold etc. Recent scientific studies conducted on it have proven its immunomodulatory and anti-allergic potential. Really creative. You really come up with interesting stuff for every contest, don't you? Anyways, all the best. 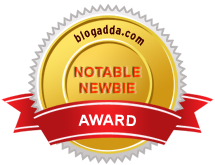 I assume you have read my entry for the contest http://www.indiblogger.in/indipost.php?post=299732. Hope you liked it. Why do you keep spamming here! Plz don't post links here from next time! You can moderate comments with links before they are made live. Or you could try Disqus, it does that for you. And yup With Namrota on this one :-) all the best! Nice one, Bushra! Great pics with info! All the celebs & Big B rock! So does Dabur Chyawanprash! Thanks Anita :) Glad you liked it! lovely presentation with great pictures and info.. all the best. please go thru my post.solicit your feedback. Nice one Bushra, as always. Conveyed effectively with good choice of words and pics. Hi, I loved the presentation. All the Best, I am sure you would be one of the winners!! The secrets to immunity have been brilliantly and creatively composed. Hope it helps create more immunity in the Nation. Best of luck. [ Smiles ] Nicely put together, my friend! Loved the concept of famous people like Saina, Amitabh Bachan. Nice pictures.